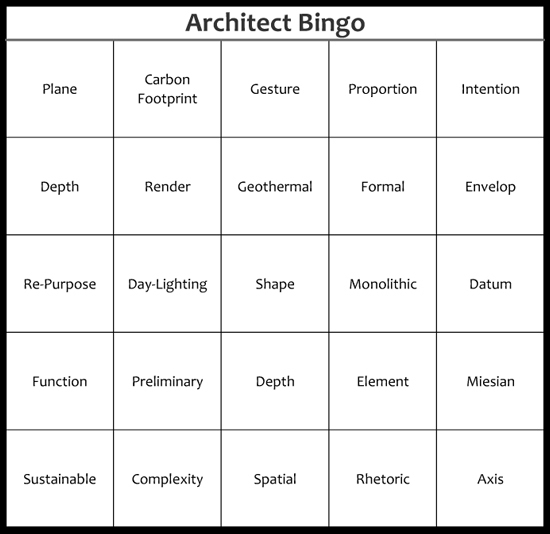 I have expanded my list of architect-y words that you need to master. Coming out later this week are the rest of the series – cards 4 and 5 – so in the end there will be a total of 5 cards and 125 words. To be quite frank, the last card of 25 words is really going to be a drinking game for more advanced players.